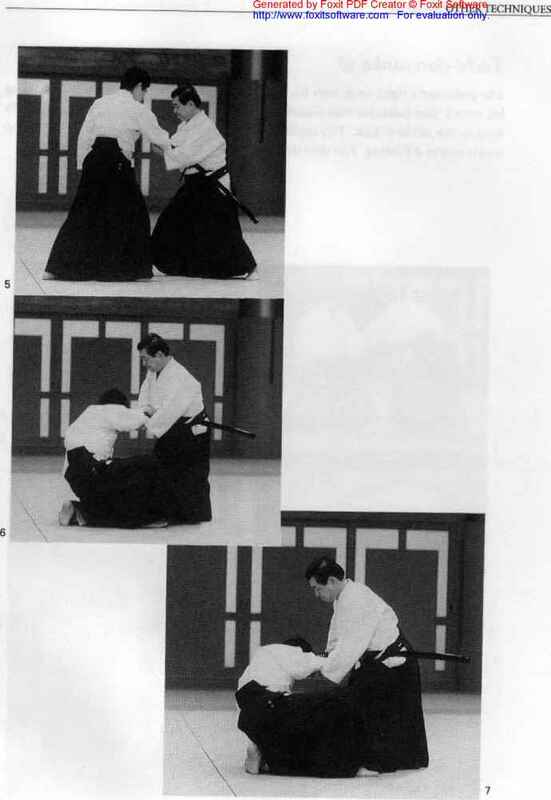 With his right hand, uke grabs tarfs right wrist, attempting to prevent tori from drawing his sword. 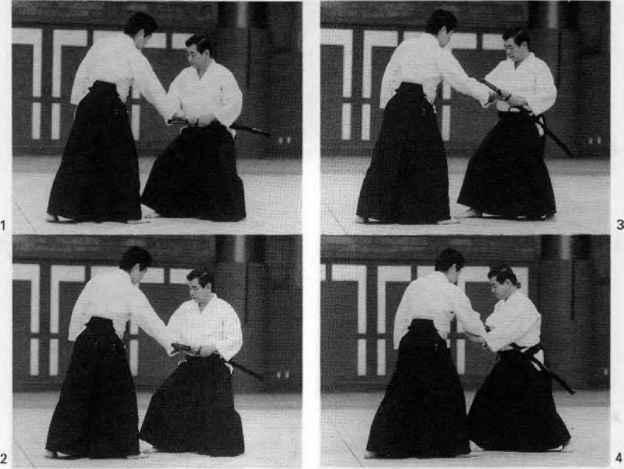 Tori twists his hips slightly to the right and raises the sword above uke's wrist, then applies the tiika-jo lock to u/ce's wrist, using his hands and the sword grip to apply pressure. 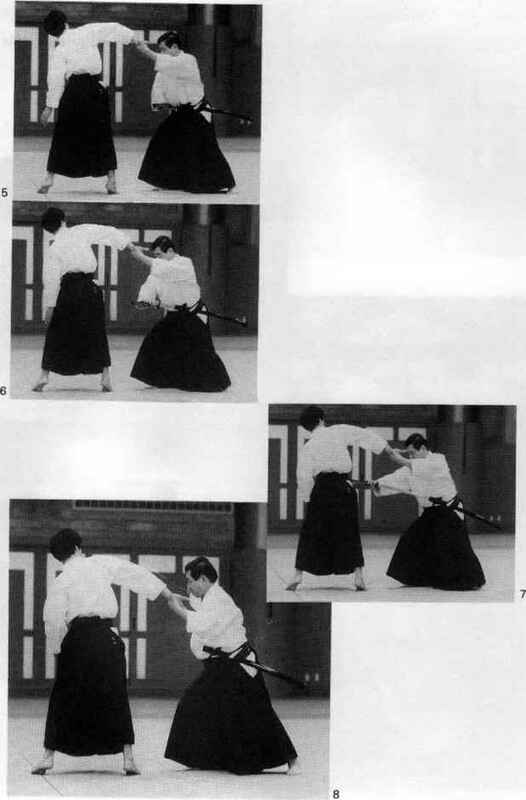 Uke grabs ion s right wrist with his right hand, attempting to prevent fori drawing his sword. 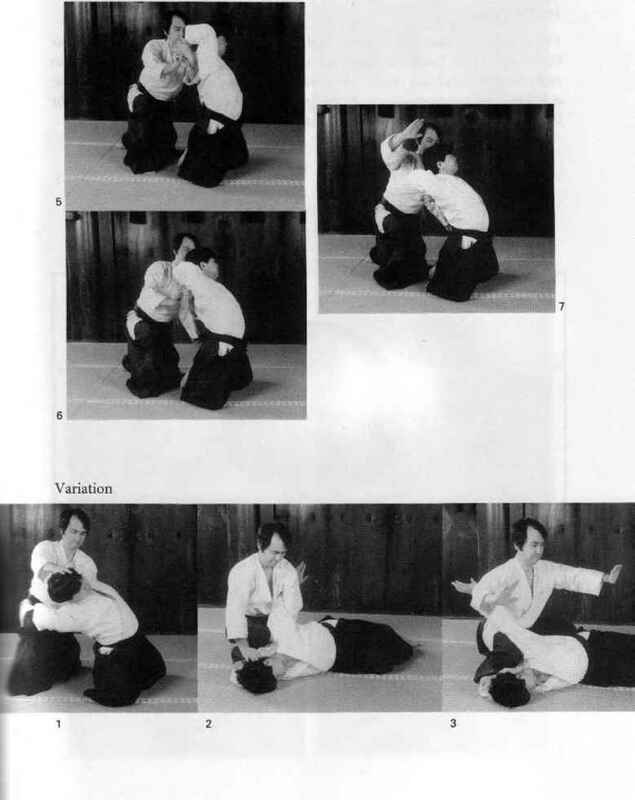 Tori twists his hips slightly to the right, breaks uke's hold, and grips uke s wrist in the sanka-jo lock. 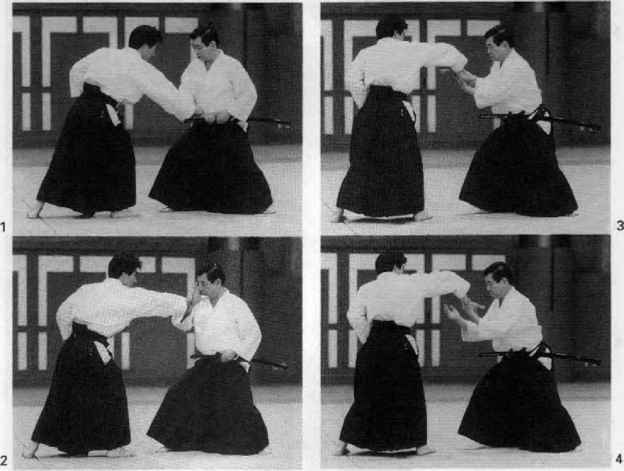 Tori applies pressure to uke's wrist, causing uke to rise up on his toes as if floating. Tori then draws his sword and slashes across uke's body.